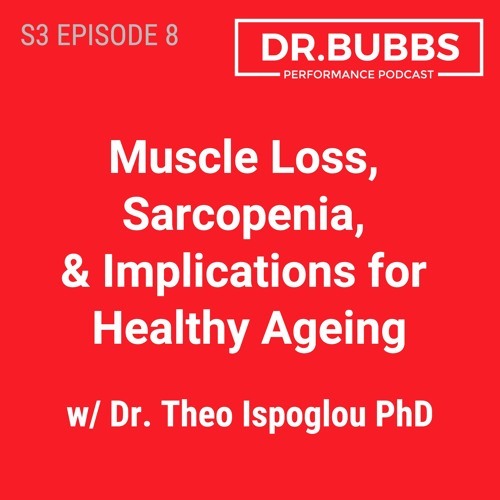 In Season 3, Epsiode 8 Dr. Bubbs interviews Dr. Theocharis Ispoglou PhD to discuss the importance of muscle mass in healthy ageing and how age-related sarcopenia can compromise healthspan and longevity. In this episode, Dr. Ispoglou defines sarcopenia, discusses the most common causes and how this can impact your life expectancy. He also talks about key factors that can accelerate muscle loss, common tests that can be performed to assess for age-associated muscle loss and the impacts of novel forms of protein to preserve lean muscle and much, much more!